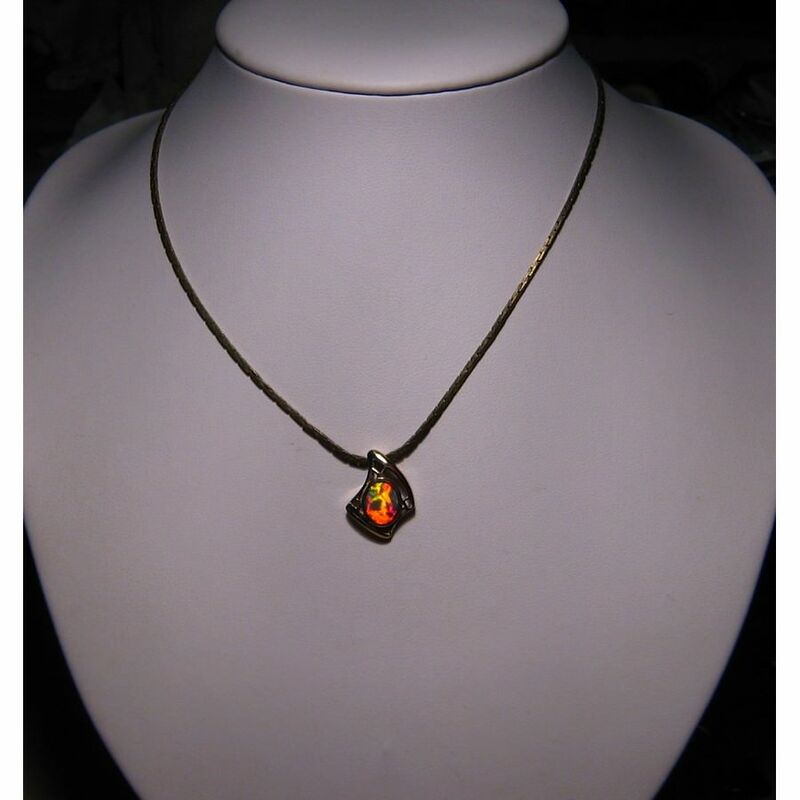 A Black Opal pendant slide in 14k Yellow Gold with a Red oval Lightning Ridge Opal. This Opal pendant features an amazing oval Lightning Ridge Black Opal that flashes brilliant Red with some Yellow and Green. 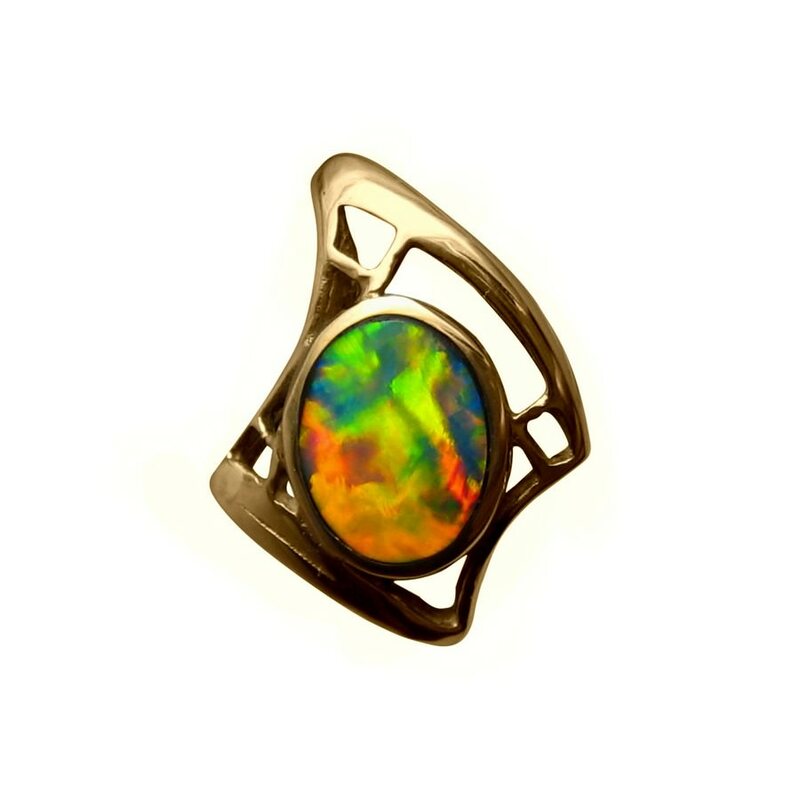 The 14k Gold setting is in a geometric shape with cut out detail and is inlaid with the N2 Black Opal and the video below will show the gorgeous color mix and play of color. 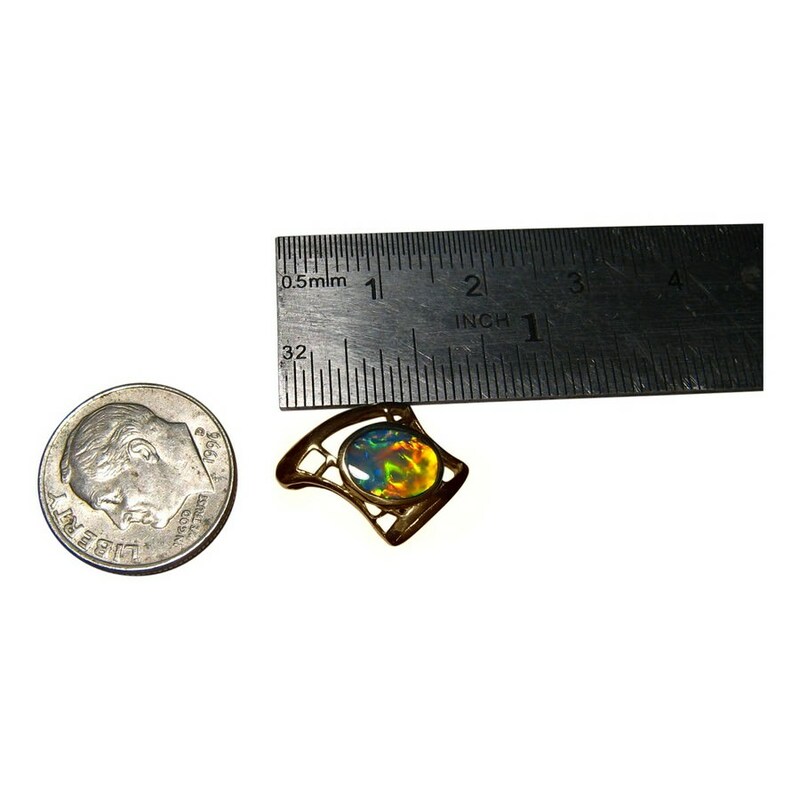 A good size overall Opal pendant that measures almost ¾ inch from top to bottom and with the exceptional bright colors in the Opal, this pendant will be noticed when worn. It is ready to ship now but does not include a chain.